UK Stampin' Up! 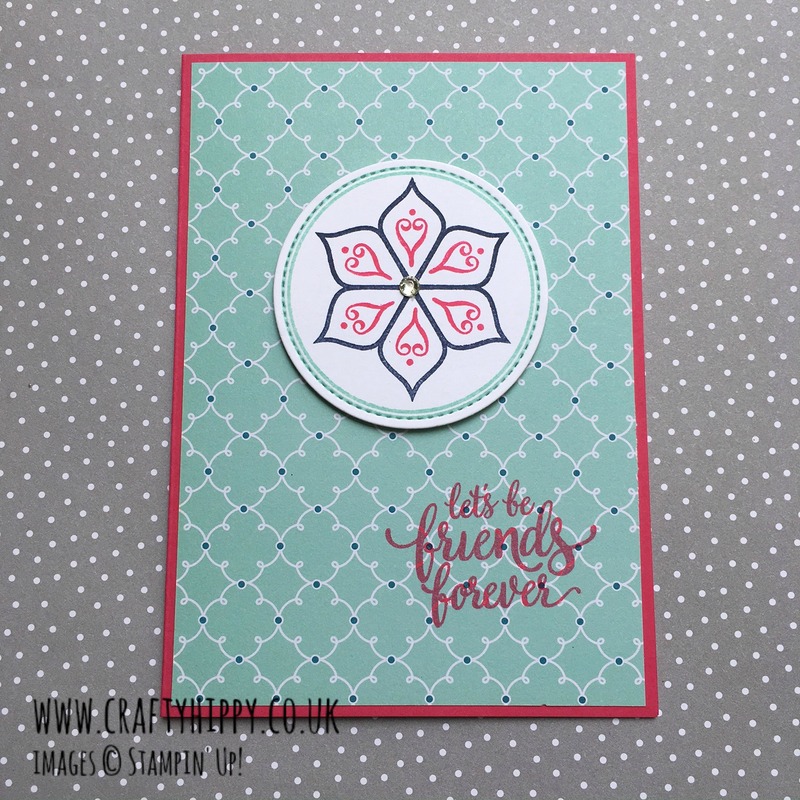 Demonstrator | make beautiful cards | Crafty Hippy: How to make a beautiful card using Eastern Beauty by Stampin' Up! 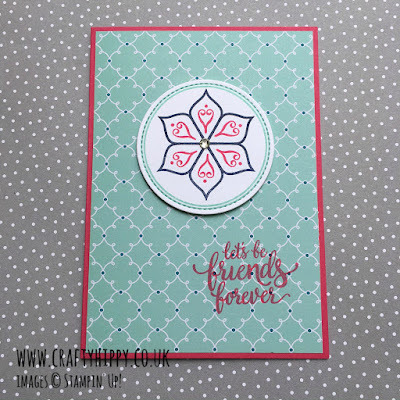 How to make a beautiful card using Eastern Beauty by Stampin' Up! The wonder of card making is that you can use whatever materials you have at hand to create a stunning project using a very basic template. 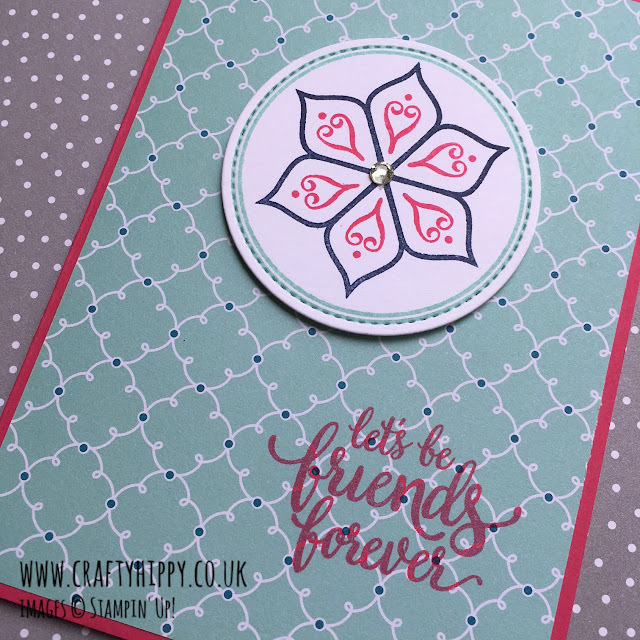 For example today's card would look very different if you changed the background paper, or the sentiment, or the pattern in the circular die (or all three). I actually used some retired Designer Series Paper for this card. Usually my projects are made with 100% of current products, but sometimes it's nice to craft for the sake of it and use whatever you want. This was one of those times. 2. Stamp your sentiment in the corner of your Designer Series Paper - I used our Melon Mambo Classic Stampin' Pad, and a sentiment from the Eastern Beauty stamp set. The paper is our retired Quatrefancy DSP. 3. Stamp the design onto some Whisper White A4 Cardstock and cut out using the Stitched Shape Framelits Dies which have been run through the Big Shot Machine. I have stamped in Night of Navy and Pool Party, with a bit more Melon Mambo. 5. Assemble your card, I used some SNAIL Adhesive and some Stampin' Dimensionals. Eastern Beauty is just one of our gorgeous stamp sets that can be used for cardmaking, scrapbooking, home decor and design. Click HERE to see our fabulous range that is made up of Clear Mount, Wood Mount and Photopolymer stamps. 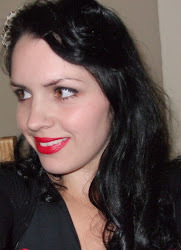 Inspiration (and thanks!) 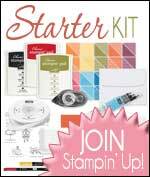 for this card go to fellow Stampin' Up! Demonstrators Pip Todman and Fiona Whitten. Eastern Beauty has been available for a while now, but I think it has to be one of my favourite stamp sets of all time and it has certainly proven to be really popular with customers and demonstrators alike. There will be more Eastern Beauty projects in the coming weeks I'm sure.